It would appear to me that whatever stats you choose to look at they paint a pretty grim picture of the state of Kiwi household’s finances. From Hannah McQueen, great article hear worth sharing totally agree with what she says here. I see it myself as I work with people in the area of their finances. “We owe just a shade under $250 billion to the banks in housing debt, and 27% of it is on interest only terms – even though interest rates are near record lows. Collectively, the nation’s households spent $4.1b more than they earned last year. At 15.8b, consumer loan levels are the highest they’ve ever been. There’s $7.28b outstanding on our credit cards, also a record. The list goes on. Internationally, different studies put the proportion of financially – stressed workers at anywhere from 50% to 80% of workers. That indicates financial stress is not the sole preserve of the low paid, and higher wages are not a cure-all. In my experience, many further up the scale find themselves in financial dire straits for a raft of different reasons. Taking on more debt than you can afford, an unexpected child or a change in circumstances, feeling trapped in a job because you can’t afford to earn less, getting close to retirement but not having a plan or having adult children who still use you as an ATM. All can result in financially-induced stress. That shouldn’t just be the concern of those whose finances are causing them sleepless nights-employers also need to take note. Those workers are not only more likely to be knocking down the door begging for a pay rise or quitting their jobs to seek better-paid employment elsewhere, they’re also less productive. A survey by PWC in the United States found financially stressed workers are three times as likely to spend five hours per week or more dealing with financial matters. 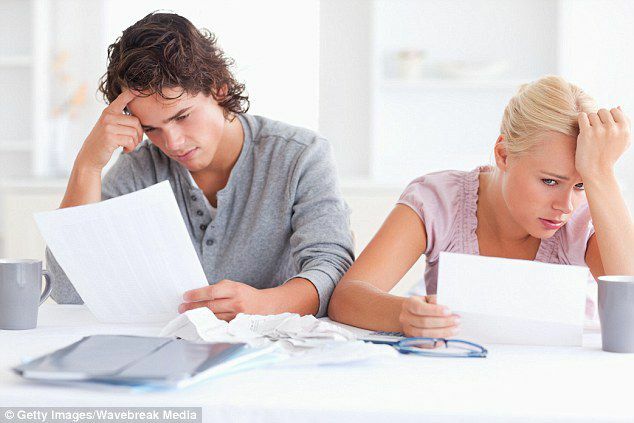 Financial stress is also linked to health problems, absenteeism, insomnia, and relationship breakdowns. Other research puts the cost of lost productivity at just under $7,000 per worker, per year. If we take a conservative approach and assume 20% of your workforce is highly financial stressed, it becomes easy to quantify the financial impact. WORKPLACE WELLBEING PROGRAMMES TEND TO FOCUS ON FLEXIBLE HOURS, DISCOUNTED GYM MEMBERSHIPS AND PERHAPS A FRUIT BOWL IN THE LUNCH ROOM. Those are great initiatives, but I would argue THEY DEAL WITH THE SYMPTOMS NOT THE CAUSE OF STRESS. What to do about it? We say spend less, save more and consolidate debts. Which is almost insultingly shallow.